Winning is not a sometime thing; it’s an all time thing. 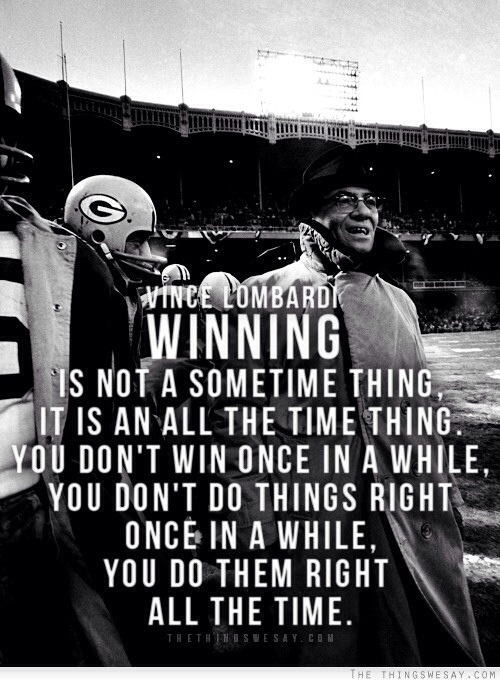 You don’t win once in a while, you don’t do things right once in a while, you do them right all the time. Winning is habit. Unfortunately, so is losing.